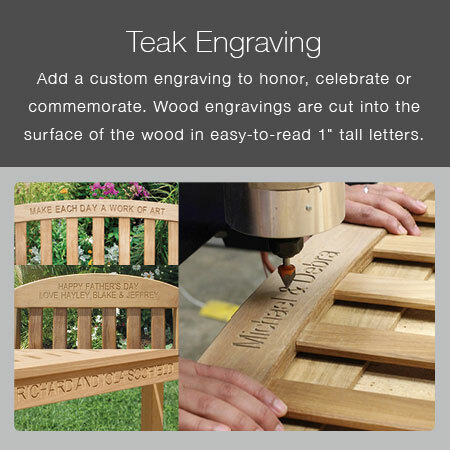 The Brittany™ returns for Country Casual Teak’s 40th anniversary. Inspired by classic hoopback benches popular in Europe, the Brittany features an ergonomic, curved seat and sculpted armrest that follow the body’s natural contours. Inspired by classic hoopback teak benches built in France and England, the Brittany is a modern take on a traditional design. The ergonomic, S-curved seat is gently shaped to fit the contours of your body, along with the sculpted armrests. The large, stately back is fitted with an iconic hoop top rail and wide slats, providing exceptional lumbar support. The back is slightly angled to give a comfortable recline without slouching. Designed with robust joinery and large-scale timbers, the Brittany works well in active spaces. Thick timbers and quality design make this bench reliable, but high grade teak combined with mortise and tenon joinery make it exceptional.